The junction at Mt. Lowe Road connects five trails. 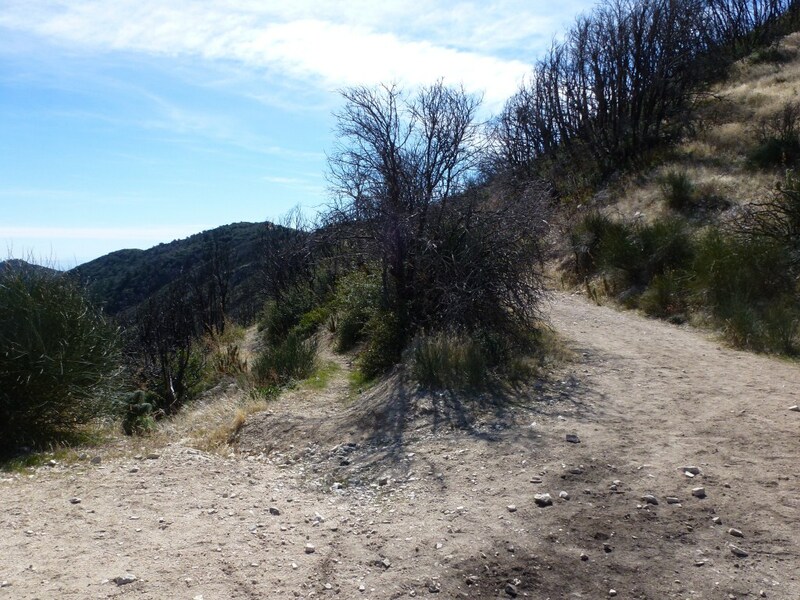 Below are photos of the trailheads for each of the five trails. Starting from the Sam Merrill Trail and continuing in clockwise order. View at Trailhead 3, Mt. Lowe Road leading up to the East Mt. 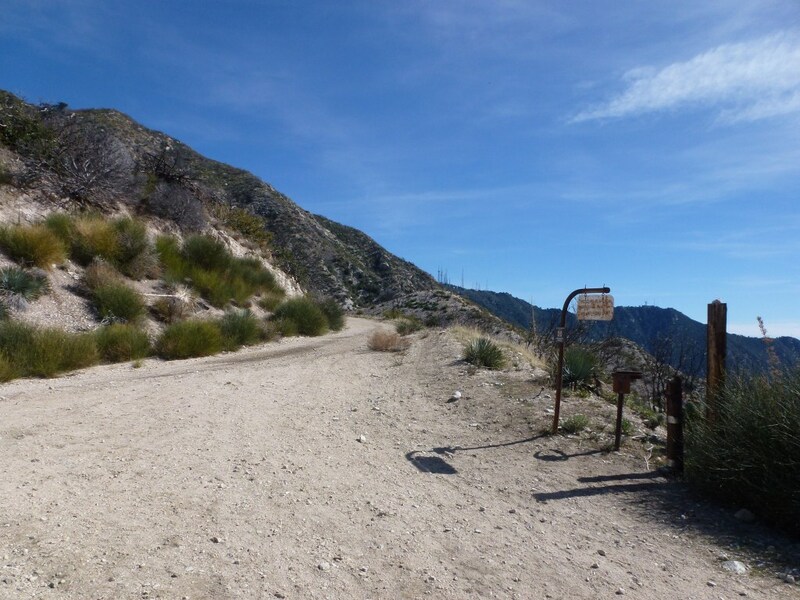 Lowe Trail, The Upper Sam Merrill Trail, the trail to Tom Sloane Saddle, and Markham Saddle. Trailhead 3, Mt. Lowe Road leading up to the East Mt. 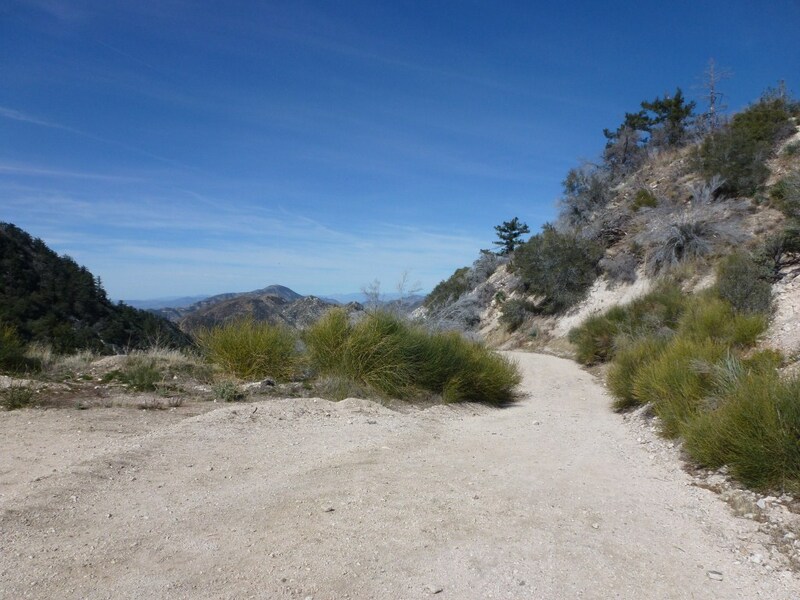 Lowe Trail, The Upper Sam Merrill Trail, the trail to Tom Sloane Saddle, and Markham Saddle. 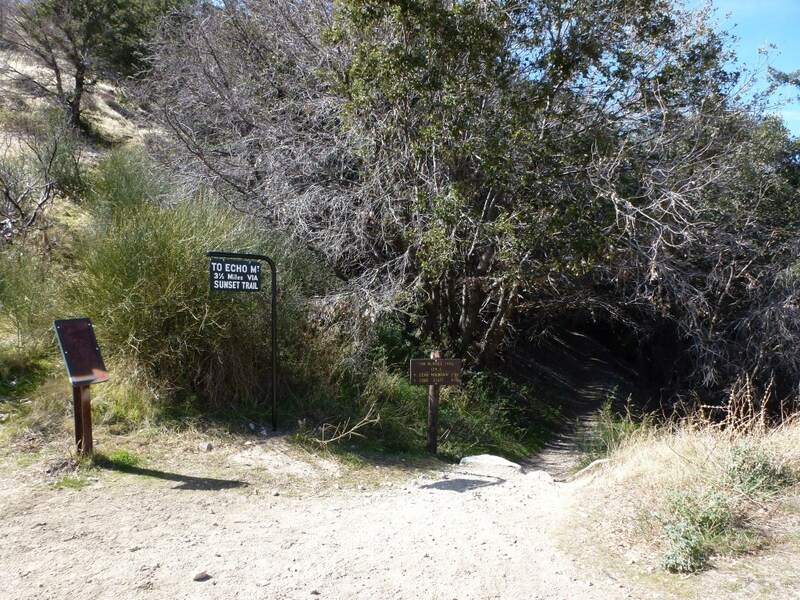 View of Trailheads 4 (on left) leading down to Idlehour Camp and Trailhead 5 (on right) leading up to Inspiration Point.